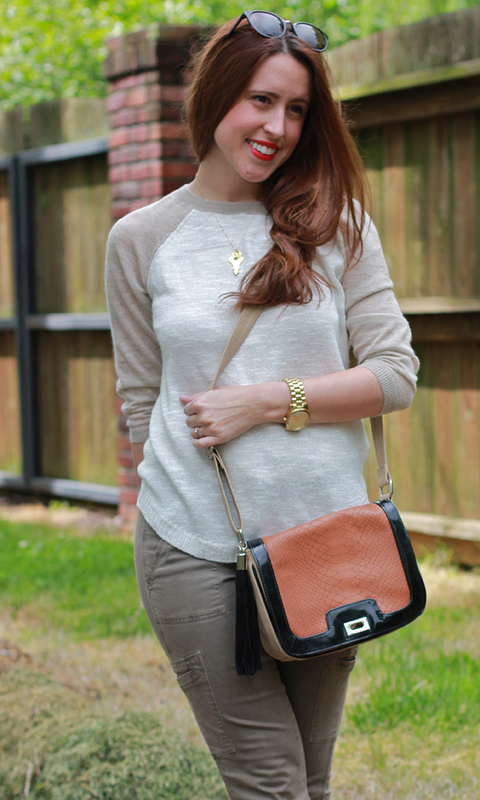 I said I was going to focus more on neutrals & that I loved this sweater (proof here). So this outfit is a bit of an "I told you so". Yes, sometimes it is MUY difficult to resist impulse shopping, but when I look into my closet & see only the things I absolutely LOVE, it makes all the shopping FOMO disappear! Phew, it's Friday, we made it! 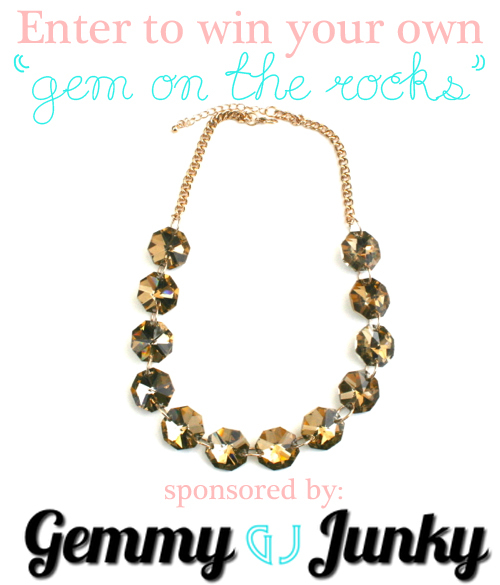 And I am overjoyed to share a fabulous giveaway from one of Here&Now's generous sponsors, Gemmy Junky! The "Gem on the Rocks" necklace was released on their site this week (hot off the presses) & one of you is going to walk away with this stunner around your pretty little neck! Please enter below & come back to this post next Friday to see if you won! P.S. I'm linking up with Long Distance Loving for Friday's Fancies today. See more weekend chic looks here. Love this cute weekend look-- especially with the bright lips! Loving this casual chic look! effortless! I love that sweater! Looks so comfy. And that one picture with your hair all flowing is AMAZING!! I'm so excited about this giveaway too, that necklace is BEAUTIFUL! Cute necklace! 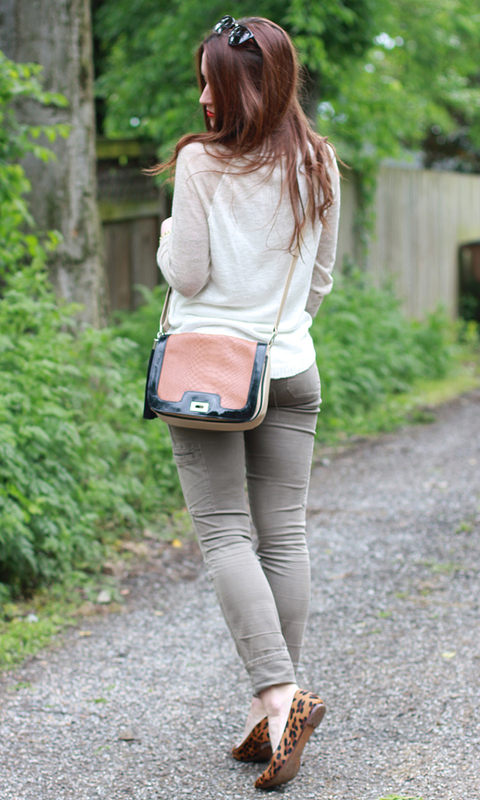 Just entered to win :) And I love this casual look on you - darling as ever! 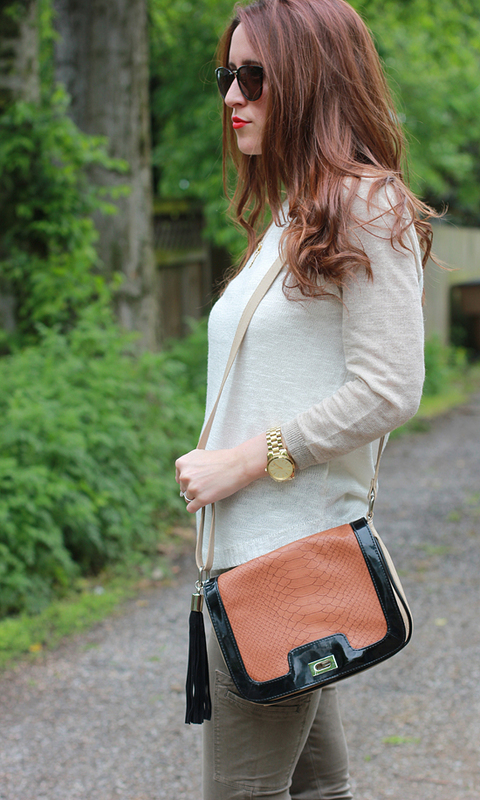 really love your accessories here - those leopard flats and snake bag are so cool! First of all. Love Gemmy Junky and that necklace is gorge! That sweater looks so comfy and I need some green skinnies like that. Could that shoes be any cuter?! Happy Friday!! I swer your hair always looks amazing too. You're the prettiest! And I'm LOVING that bag. It's so cute! i really love your sweater, it looks so soft and cozy. This is such a cute and comfy look! I love the top!! I love your lip color - what is it!? PS - great giveaway. Fingers crossed I win! Thanks! It is my new favorite, Nars "Heat Wave"!